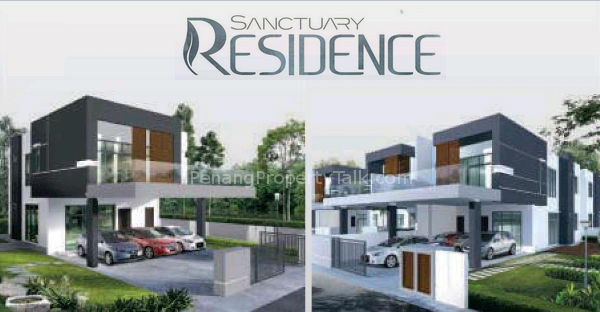 Sanctuary Residence, the third phase of Permatang Sanctuary by IJM in Alma, Bukit Mertajam. Strategically located within established neighbourhood, about 15-minute drive from Juru Auto-City and Penang Second Bridge. It is only a mere minutes drive to AEON Mall and Tesco Hypermarket. This is a guarded residential scheme comprises 216 units of 2-storey semi-detached and 2 units of 2-storey bungalow houses. 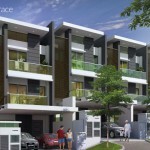 Indicative selling price for the semi-detached unit starts from RM710,000 onwards. How big is the built up and land size? Anyone knows how long the time to drive from this place to NS highway & also Penang two bridges? TQ. at least 20 – 25 minutes to NS highway enter either Sg. Bakap toll or autocity with smooth traffic flow. If anyone want to rent Phase 2 Sanctuary Villa, please let me know. Thanks. Tan, got chicken smell or not? When I went there, I didn’t smell it. Sanctuary Villa is a bit far from farm. Feel free to go there and have a feel. The CF almost ready I think. To me, this is a nice place to live. Convenient to go places and shopping. The house has enough space for family to relax. Hi ! 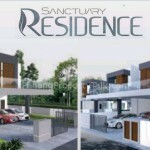 Any one buy Sanctuary Residence unit ? 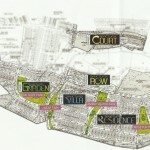 Hi all, anyone have any comments on this project or more specifically on phase 3 – Sanctuary Residence? @GG, you think price is reasonable ? @jacky, the price is reasonable in my point of view but different person may have different perpectives. @GG, Have you brought Phase 3A ? I heard that price will increase for 3B, I intend to get one at 3B, but if the price increase too high, will forget about it ! @Jacky, Yes, the price will increase for 3B. So..how is the respone ? good bo ? this have to confirm with the developer and from what i know phase 3B launching date is on 23 Jan 2016. It’s phase 3 is at small hill ? If the price is ressonable, maybe i go to q on 23 Jan morning. Yes it is.The phase 3 is located at higher plot of land compared to phase 2. Visited the sanctuary area last week and love it !! Why u like it, any special compare others ? This Sat, what the goodies or promotion things. 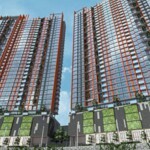 Also, do anybody compare this Sanctuary Residence vs Spectrum Garden in Jln Song Ban Keng ? Which one is more worth and better ? Really need some inputs. thks. One is Bird, One is Chicken, no need to compare ! Better u read thru the blog of Spectrum Garden. So Jacky manage to get yourself one? Hi GG, have booked 1 unit, hope is the right move, which unit you have booked ! @Jacky , we hope so then, future neighbour! than, have you get one ? I m buyer also. Do you all apply loan already, which banks and what rates ? Any comparison ? I hope the queue for entire night bef launching is worthwhile. thks. I have apply the loan and approved. PBB, HLBB, MBB, CIMB all provide 4.45% , 4.4% will only apply for their PB Customer (Example : got FD 200k-300k in their bank will consider PB Customer). Stella, are you queue on NO 4 at that night ? Hi all, queue up for entire night before launching of phase 3B? Sale must be very good. Only few years later can know worthy or not. Queue up entire night due to kiasu ma. House design is good but location is too isolated far away. 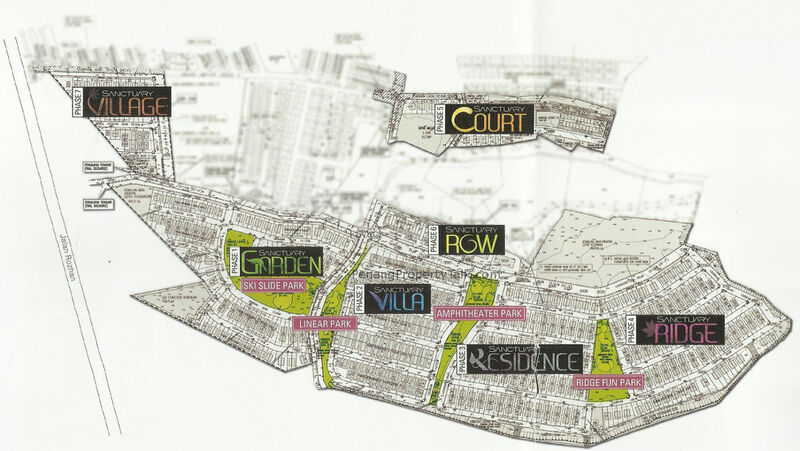 He..he.. location at Alma, phase 7 just beside Main Road, Sanctuary Residence is deeper than phase 7 around 400-500m, go to Tesco and Aeon just 2-3minutes, this area also call isolated, than how about Hill Park, Tropicale Residence and Jesellton Hill ? He, he. You don’t go to Tesco, Aeon everyday, do you? But, you n family need to go to work, school, eateries, tuition centers everyday ma. I have 1 unit sanctuary villa next to phase 3. I passed by and saw a lot of banners stated 12-Feb event. Interested and wanted to visit but rushing to go somewhere else. What was the promotion and rebate ? Ha..ha.. Base on your comments, know that you are not familiar with this area. 2. Too many can’t describe here. Somemore got Pasar Petang and Pasar Ramadan beside Mayban Alma. 3. Inside Tesco and Aeon Mall don’t count ! Thay planning have Dialysis kidney center, free vegetarian foods daily, kindergarden, chinese medical centre…..
Ok, Ok. A lot of rumours also. what is the name of the new Chinese Primary School ? Don’t know the name of school. I heard that the sales is good right now, don’t know why ? @By may i know how much u get for your s. Residence unit? Saw the sign board when goin to see the dnp land jesselton hill. Pls share.. if almost same price as jesselton hill. May wan to consider there. Link Semi D in SR Cheaper than Jesselton Hill Super link teras lah brother ! that’s why sales is good ! So fast become this project agent, promoter. OR are you one of them all this while. SR location and surrounding is a bit sian, hulu and deserted. That’s why have to use house size, design, rebate as selling points. If not, sales will be difficult lo. not tell the truth lah, only tell your belief lah. Ha ha, I did not support, or promote Jesselton hill also. JH also not prime location lah. I support any projects with good location and surrounding area. First of all, I did not said that you promote JH, i also did not say that you r promoter, you have your own opinion which i have to respect, but when i tell Abc than you say me just tell belief, belief or truth just go to IJM sales office to clarify yourself. (No need to argue cause i’m the buyer for both project). than you tell me which project in BM is in Prime location ? Wah, U r more Alma Lang than me lah, bought 2 big developers projects, JH and SR at Alma. Both projects also expensive lah. If like that, eh, then you should compare these JH vs SR neutrally for Abc lah. Eh you bought any Tropicale Residence and Hill Park boh ? Can compare 4 of them boh ?. Ha..ha.. Alma area right now total have 6 projects, The Glades from Metrio & Cosmo Residents from WHH, why u did not ask me to compare 6 of it, others 2 Not competitive enough meh ? Surrounding Access Road will get flood ? Aircon point / piping conseal or not / water heater point / autogate cable/ mosaic ada polish kah / sand brick wall / red brick wall / anti-fire brick wall / fence quality, nice or not or just normal / etc.. Cannot talk too much otherwise some developer boo suka. Your reply showing u are not JH owner. lol..
You r really fan, supporter of SR, which is ok lo. JH is not GnG, guarded only like SR, so maintenance fee also low. If you r owner, how come you don’t know. But PS ph1 RA want to charge owners for RM150 per month just for guarded only wo. JH is at least 10-12 ft higher than Saujana Indah land, if JH flooded, Saujana Indah is underwater already. If you r owner, how come you don’t know. Also, for SR, access road near Impian Ria, Impian Indah can flood easily lah for past so many years, as you know. Future development at JH area is the grand clubhouse, shop lots and JH Phase 3, real original semi-D, not merely linked semi-D. Which chinese primary school is to build at SR area ? If JH or Seri Impian residents to go to the places you mentioned in post 38, it is even more convinient, half the time, half the distance only compared to SR to go there. Conclusion : I like SR too but no money lo. I merely tell the truth also. I m not JH sales agent. Cheers. Sorry ! Heard from my wife, she said that is G&G when she brought, will clarify with her or DNP later. pei sei pei sei ! Hai ! i never said that JH will flood, i only cakap surrounding area with JH especially Suajana maybe will flood. I like JH, that’s why my wife brought there, I will stay there early next year. SR is only for investment purpose lah ! or maybe will leave it to my son. Club house, shop lots phase 3 even phase 4 in JH cannot consider surrounding project lah, it have to consider JH whole project. same like SR, phase 4, phase 5, phase 6, phase 7 and shop lots, i never consider it as surrounding project instead it’s just are SR whole project. All Projects in BM will not 100% perfect, every project have their pros and con, for JH I just complaint 2 things, 1 is road is narrow and the other is price are not resonable. For SR i also have complaint…talk later. Wah, I hope the TR and HP owners will not mind, reply reply and shoot shoot also. If yes, war start liow…. Paiseh, Paiseh, I kekpo and I ask Jacky to compare the projects one. Luckily, you didn’t compare all 6 projects, later you answer like khee siau, boh-eng, boh-eng, very busy answering. Wah, you punya son ho miah si ! why u not moving to SR but JH ? If you like peacefulness and a have lot of time to rest, then good lah. If you are busy ppl, always have to go in and out of house for many commitments, then you will become tired, sian due to driving, driving nia lah. What is the latest price and how many percent of rebate u all get? how do u compare this area with simpang ampat eg. pearl city? jacky how much u bought? how much u bought it for? 600k++ forget the actual figure !! How can compare BM and simpang ampat ? quite a long time did not view the blog, just back from oversea. how is the sales for SR ? Type B and A, what’s the difference? Simpang Ampat Pearl City area at least have many shops, C-Mart, etc, within/nearby the taman. Permatang Tinggi Sanctuary Residence area, is dull and boring, waiting to be developed. Not many cars esp at night. Type A & B almost same, just outlook design is L shape or N shape. than you think Pearl City is better than SR ? Buying Landed property in mainland cannot classified as “Right choice” or “Wrong choice”. Its only can classified as Best/Better/Good/Normal/Bad choice. Hi, interested in buying for own stay but concern for smell and flies problem. Any Phase 1 and 2 residents here who encounter intolerable smell and flies problem? Hi, you won’t be having the problem of stinky smell from the nearby chicken farm from phase 2 residence onwards. Anyone staying in Sanctuary Villa? We are eyeing to buy a bungalow there? when we went to see the property we didn’t smell anything. I would like to know about the neighborhood. Are you posting in the right blog ? here is Sanctuary Residence (Phase 3), Sanctuary Villa is Phase 2, I can help you if you want to know the neighborhood from Phase 3, but if you want to know about Phase 2, than you have to post in Sanctuary Villa. Hi. I am sanctuary resident owner. My husband and I bought this property by this year. We have visit the site area during the raya holiday. 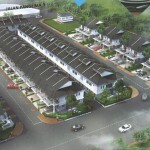 It is totally out of our expectations because it is very good environment and good quality house. Yes! 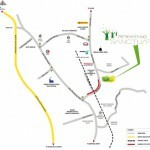 I had check the place before and it looks very nice, good workmanship for the house and there is also a new business park coming right in front of sanctuary garden….Any one knows about the new business park? Anymore units left? Any news on phase 4? Phase 3 bumi lots not yet release, now u are waiting for phase 4 pula, I think u have to wait for another 2years for phase 4 open booking! Oh i see… when will they release bumis lots? you should go to their sales office and ask ! The bumi lot will be release on 07/01/2017. There will there will be 8% rebate and another 2% rebate if booking were made on same day. This is good opportunity, must go early. 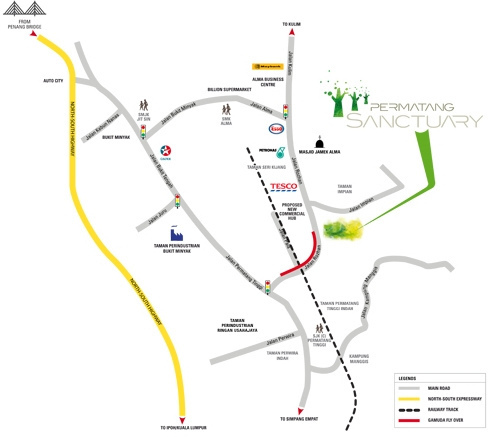 Anyone knows about the new business Park in front of the permatang sanctuary? The new businesses park is sanctuary commercial centre develop by airmas group..it consist of 30 units of 3storey semi d shop office and 1 unit of 3storey bungalow shop office. Which unit you book and how much is it? I had purchase a unit of sanctuary residece, now i am waiting for the completion and plan for renovation. So fast plan for renovation ? any good recommend contractor ? Not fast ma..another 9 months can get house key.The original design is already good. Just some interior renovation and garden design.There are some contractor which is good. Yes. I got one unit too. Very happy and satisfied. Looking forward to its completion. Thinking about renovation too – interior cabinets and stuff. The original plaster ceiling and interior is very good dy. I am wondering if should extend the master room to balcony ? I also satisfied with the bare unit, but i wound’t extend the master room to balcony, it will make my house look ugly and my neighbour will feel unhappy, i’m simply feel that relationship with neighbour are more important than it. just my thought!!! Oic… ok ok. True too. Me too. I am not planning to renovate the exterior to make my neighbour unhappy…ha..ha..May i know how much you guys bought the unit? Any good contractor to recommend? I saw this Kubiq on Facebook. Not sure good or not? I bought at 700k+- before rebate. than you should be earlier buyer which bought at cheaper price. How is the design between dry and wet kitchen? Good! Almost same with the price I bought. It is time to start survey on the design and price. I think we should create a fb sanctuary residence so that can keep update and sharing info. Nowadays, where got people create fb group? i heard some purchasers are create wechat group. they will let us join once we sign the snp. Best wishes to all and Belated Happy New Year!! I see. Then we can join the wechat group. Any info for the wechat ID? Good morning SR owners, any volunteering to set up a grouping? Me not too computer savvy and not staying around there yet. Is the developer organizing a cny gathering this year? It’s a good oppurtunity if there is for owners to get to know each other. Good idea. My wife is planning to do that too.The oil on floor is a big problem uncomfortable difficult to get rid of it. Must get a good kitchen hood. I think that duration of renovation is important too if too rush the contractor will stess and will have bad finishing. Amiko and Richard, get a real good suction hood and don’t forget a ventilator. think of flowthru ventilation for your house. My current home has minimal smell. Yes. True. Im even contemplating of putting the cooker hob near to the side window/door at the wet kitchen so that the smoke can flow out easier… i am wondering if we will get the key before Sept? I went to the site and most of the units are almost done. Some even have paints on the wall dy…. Kl5 thanks for reminding. Amiko. I went there last year november things are not ready yet, as you said almost done then the progress is good. I think we should maintain amphiteatre park by our comunity and also our neighbourhood garden and cleaningness..I suggest after forming our committee then all theese to be rectify to have safe and clean enviroment. Amiko, fungshui expert do not suggest putting your hob near a window, u will keep lighting up your gas cooker(if u still use gas,btw,gas cooker is “ong”. u need good heat for certain cooking! the reason being wind or breeze will blow off your gas fire. Logical n common sense,u think???. I think the developer will handover the infrastructure (road and drains) to MPSP for maintenance. Like Richat suggest, u need a RAto be formed and encourage all the houseowners support for the benefit of residences here. Thanks MaYun. Feng Shui is very important for a house cause it is a place for us to rest….I am also thinking of Datuk Kong. How are we going to install Datuk Kong in our place? You mean install at your own house? Not in the park or community right? Follow the basic rudiments of fungshui, you won’t go wrong very far. no need to the extreme. its all common sense and logic. If you ask a funshui master for advice, you might end up doing more than you ask for. and for that matter ,if you consulted a fungshui master and did not follow as advised? ?food for thought. I am thinking that normally people will install Datuk Kong in front of their house with different type of Datuk house. If possible just install a common Datuk Kong and all residents can pray there. 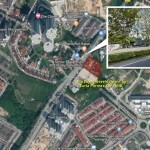 Most of the main-contractor/sub-contractor (include SR) will install Datuk Kong at development site when they start their work, which i know that Datuk kong at SR is install near to phase 4 landscape(Lorong 17), after CCC, developer will maintain it or remove it, than i don’t know. just sharing don’t know right or not ? Maintaining the original outer look for house is very important to have a clean and nicer feel in the residence. I think I will hire a fengshui master for the new house. any wechat/FB group created? Thanks! Do you guys think this place is good for rent? The Chicken Farm already move out? Still got smell there? I went there few times before and after CNY but didn’t smell anything.. Yes! A wechat group is set up for all sanctuary residence owner. We have wechat group to discuss, just mention you want to join the group from your sales advisor, they will give you our contact. May I know anyone bought phase 3? Any problem(leaking after rain) with the flat roof? Also went to have a look at the area seems that the chicken smell is still there? this area aiya.. buy stay nia la.. want earn? go sleep la.